In this day and age, home security is seldom complete without the presence of a surveillance system. Security cameras and surveillance systems were once luxuries that only a few people could afford, and as such, the top tier of home security was only given to a select few. However, with technological advancements and the increasing need for home security over the years, surveillance cameras are now more accessible. They come in many different shapes and forms and are available to a wider range of people. Even so, there are those homeowners who work with a limited amount of time, a limited amount of expertise, and a limited amount of money. Many of these homeowners are drawn to surveillance cameras that are easy to install and easy to monitor and do not require assistance from an outside source. The fact that the setup process and maintenance of a camera are simple does not take away from the security benefits it gives. In fact, there are some DIY surveillance cameras that give homeowners and business owners more options, and much more flexibility than traditional security cameras. Let’s take a look at some DIY security cameras that are truly simple and easy to install, all the while still maintaining their robust sense of security. Next up, we have the Piper security camera. The Piper is classified as a home automation and home security device, and it is very easy to see why. The Piper boasts an immersive camera with amazing range (180º motion). It also has a host of motion sensors and a siren that helps notify homeowners and business owners if something is awry. The Piper works in conjunction with a mobile app that allows its users to have access to live video feeds. The app can also arm or disarm the security camera and its alarm if need be. In addition to this, Piper has Z-wave capabilities that allow it to be integrated with other home automation devices. This function gives homeowners much more security and control. 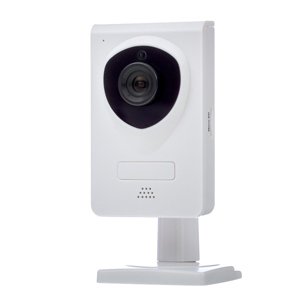 The Piper camera stands out from the pack because it has so much more to offer homeowners than just video surveillance. To set up the Piper security camera, you will have to remove the Piper from the detachable stand that it comes with and then insert AA batteries into the back of the device. The Piper is also pretty cool because, for once, the batteries are included. Once this has been done, connect the power cord, re-attach the stand and find somewhere cool to place your camera. Also, there is a wall mount that can be used in lieu of the stand and this just gives homeowners more options of where they can place their camera. After this has been done, power on the Piper camera, then wait for the LED light to turn blue. Finally, download the app and complete the setup to be on your merry way. 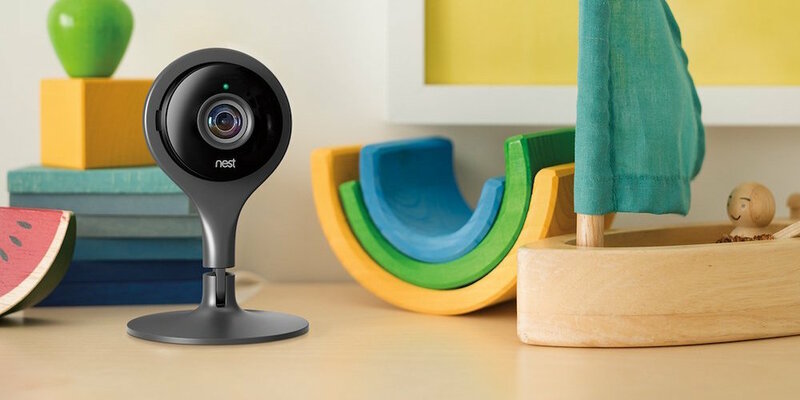 The Nest Cam is another surveillance camera that takes a burden off the shoulders of its owners by giving them an easy and seamless installation process. This ensures that they are not spending any time worrying about the state of their security but instead constantly monitoring it. 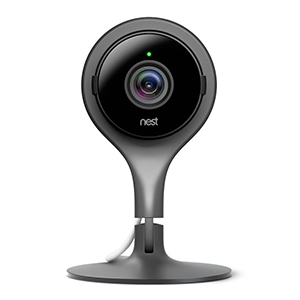 The Nest Cam boasts superior 1080p video output, as well as integration with other smart home devices if applicable. Similar to the Homeboy, the Nest Cam works with the Wi-Fi network that is present in your home. 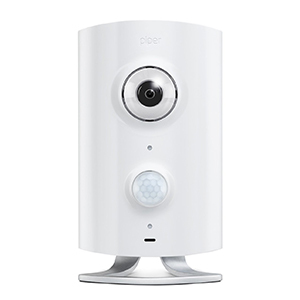 In addition to this, it incorporates the audio features of the Piper camera and allows you to relay two-way audio. Setting up the Nest Cam is relatively easy and involves either placing the camera on a stand or on an easily attachable wall mount. The camera’s sleek design, video output, and audio features, coupled with the easy installation process have made it a big hit among homeowners. 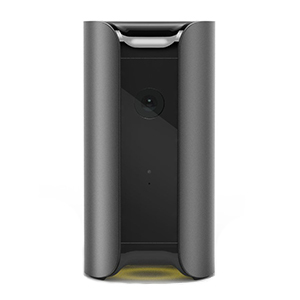 The Canary camera is a true innovation in home security. This device has an easy plug-and-play interface that only gives homeowners the burden of finding the right place to set the camera down. The device itself is an IP (internet protocol) camera that comes equipped with humidity and air quality sensors, a microphone and a siren, to name a few. It also boasts the capability to stream high definition live video feeds as well as cloud storage, which allows you to save data for up to 30 days. Many other DIY surveillance cameras have struggled with the issue of storage, but Canary soars over them with ease. The Canary also has a mobile app that allows you to control and monitor the functions of the camera from various locations. This also allows you to receive reports and alerts that will give you a headstart over any burglar. Furthermore, the Canary camera is constantly learning and adjusting to your habits, and this makes it a much more efficient option as well as a secure one. 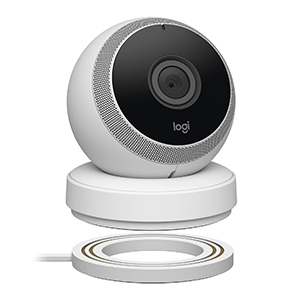 The Logi Circle surveillance camera is presented by the cool technological minds over at Logitech. The Logi Circle is easy to use and the installation process is a piece of cake. The charging port for the camera simply has to be plugged in and the camera has to be set on top of it. Once this has been done, homeowners should download the required mobile app and get ready to have some fun with their new surveillance camera. The Logi Circle is able to hold its own in the crowded arena of DIY surveillance cameras because it has some features that help it stand out. For instance, it is one of the only mobile surveillance cameras. The circle can be picked up and placed in different locations throughout your home, without having to go through an entirely new set up process. In addition to its portability features, the camera has free 24-hour cloud services and advanced motion filtering. Advanced motion filtering works by picking out important motion clips that occurred during the day and sending them to the homeowner’s smartphone for review. The Myfox security camera is postulated to be the only security camera that keeps your home secure while also working to keep your business at home private. It accomplishes this thanks to the use of it’s motorized shutter, which allows people to choose what they want to record and when simply by clicking on their smartphones. The camera comes equipped with an additional wall mount that owners can take advantage of if need be. Aside from that, the camera is super easy to install and merely involves finding the perfect location to place it. In addition to the amazing motorized shutter, the camera is equipped with technology that combines infrared detection and image analysis, to give a more accurate motion detection system. 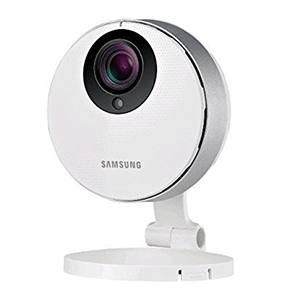 Samsung has a long history of introducing the world to amazing pieces of technology, and they continue to do so with the easy-to-install and even easier to use Samsung SmartCam Pro. The camera is as easy to set up as all the ones listed above, and it also works well with the Wi-Fi homeowners have in place through the use of their downloadable app. The Samsung SmartCam Pro sets itself apart with the simple design and advanced features. Its advanced detection system and motion zone select feature, reduce the chances of false alarms and irrelevant notifications being pushed to your phone. In addition to these features, the SmartCam Pro also allows users to store data locally, thanks to the mini SD card slot that the camera has. The iCamera Keep comes from the creative minds that birthed iSmartAlarm. This camera has a boxy frame that admittedly makes it hard to conceal within your home, but it is still easy to set up and highly effective. It pales in comparison to the designs of some of the other cameras listed above, but it outshines most of them when it comes to its performance capabilities. The iCamera Keep is equipped with a surveillance camera that pans 350º and is controlled remotely through the iSmartAlarm mobile app. This feature, in addition to its built-in motion and sound sensors, helps the iCamera Keep make up for its boxy physique. The Netatmo Welcome is as simple to install as the canary that was listed above. It is close enough to a plug-and-play device, which means homeowners do not have to undertake any heavy lifting to get it fully operational. The device boasts a sleek casing that will blend in with the entryway of any home. 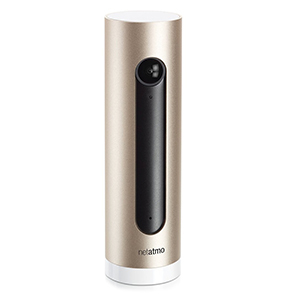 The Netatmo Welcome stands apart from its competitors due to its innovative facial recognition technology. The camera lets you know when your children or elderly parents arrive at home, and it also notifies you as soon as an unregistered face is detected. In most cases unregistered faces are burglars. Essentially the Netatmo Welcome epitomizes “better safe than sorry”. In addition to this, the camera has local storage capabilities, which help keep your information private. The Netgear Arlo Wire-Free camera pushes boundaries on two fronts. First, it joins the Homeboy as one of the few DIY surveillance cameras that are completely wire-free. Second, it gives homeowners unlimited options of where to place the camera. This is due to the fact that the wire-free camera is built with weatherproofing technology that allows the camera to be used both indoors and outdoors. 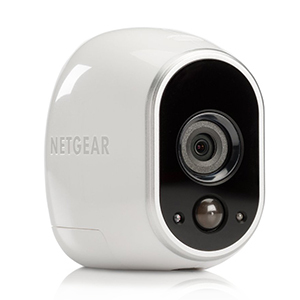 The only downside that the Netgear Arlo Wire-Free camera presents is the fact that it has a lower image resolution than most of its competitors. The image resolution for the wire-free camera is 720p. However, for owners that want higher image resolutions, they can opt to go with the Arlo Q or the Arlo Q plus, although those versions are only meant for indoor use. 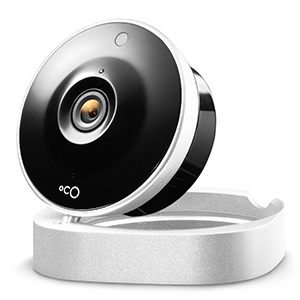 OCO is a simple, easy to use home monitoring system, at least that’s what their website says, and they are not far off the mark. The OCO is the perfect fusion of the Homeboy and the Logi Circle. It has many of the same features, and it can also be moved to different locations of your home, thus giving you more options. Like many of the cameras listed above, the OCO works via Wi-Fi connectivity. The OCO camera might fall short on the image and video quality that it outputs, but it is still a player in the home surveillance market due to its competitive price point and the fact that it can be integrated with several different devices and applications. 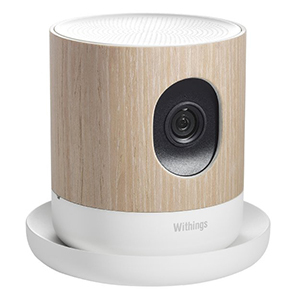 Withings Home believes that home security is a beautiful thing, so it tries to channel that within its home monitoring system. The Withings Home boasts a unique and beautiful cylindrical design that makes it look cool and futuristic. Also, aside from having just a surveillance system, the Withings Home also doubles as an air quality monitor. The Withings Home stands out from the crowd because of the crisp images and videos it gives its owners. The device is able to output images with 1080p resolution. In addition to that, the device offers 12x optical zoom as well as night vision and live streaming capabilities. The Ezviz Mini is the perfect DIY surveillance camera for homeowners who want a quality camera but are hindered by their budget. The mini Wi-Fi camera is inexpensive and it offers you a whole lot of bang for your buck. The Ezviz Mini has night vision capabilities as well as cloud storage capabilities or local storage. Also, the mini camera has a magnetic base that allows it to be attached to any metallic surface within your home. Furthermore, the Ezviz Mini is perfect for the more environmentally conscious homeowner as it has a maximum power consumption of only 3.5W. 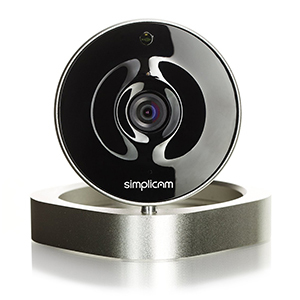 The Simplicam is another surveillance camera that gives homeowners the comfort of having an easy installation. There is no need to call in the services of a professional to help you install this plug and play device. 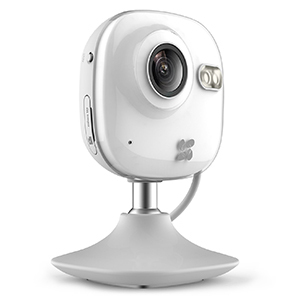 The Simplicam has an easy setup process, which basically involves downloading a mobile application and authenticating your Wi-Fi credentials so that the camera is connected to the internet. 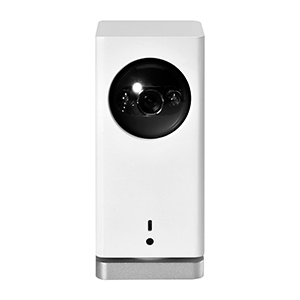 The ArcSoft Simplicam camera works in a similar fashion to the Netatmo Welcome because of the facial recognition technology that it employs. However, the Simplicam has more mobility options that the Netatmo Welcome, although they both work best when they are placed in close proximity to entry ways. The Cleverloop home surveillance system gives homeowners all the benefits of a professionally monitored security system but at a much cheaper price and with a much easier setup process. 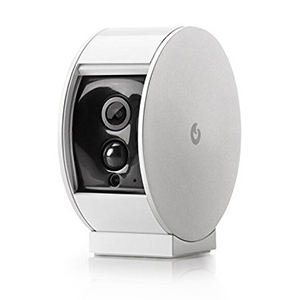 The Cleverloop surveillance system comes with a base station that supports one to four cameras. 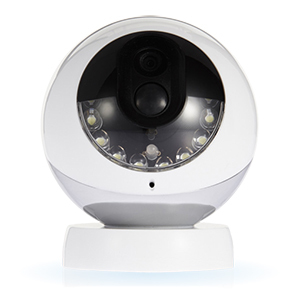 Homeowners have the option of choosing any combination of indoor or outdoor cameras to go with their base station. The base station serves as the hub for controlling your security cameras and comes equipped with an 8GB SD card for local storage, a power adapter, and a cable. The base station features rapid learning algorithms that allow it to sort relevant data from irrelevant data. This means it only sends you the important stuff you should be paying attention too. The cameras also have night vision capabilities that ensure you capture clear footage at all times of the day. The Cleverloop surveillance camera gives the homeowner, renter or small business owner multiple storage options, which include free cloud storage and the ability to connect a hard drive to record 24/7 CCTV footage. Let’s get this party started with the Homeboy. No, this is not a reference to your close friend that you refer to as your “homeboy”. The Homeboy security camera is truly one of the only surveillance devices that is wireless. There are no running wires that connect the camera to a router or to a power outlet. The only thing a homeowner needs is a nice little vacant space on a wall or a countertop, upon which they can place their Homeboy. The security camera works with an existing Wi-Fi network and gives you the ability to monitor your home or office remotely. The setup process is a breeze and it is definitely something that the DIY homeowner will fall in love with.The first step to setting up the Homeboy security camera involves downloading the Homeboy app onto your mobile device. The Homeboy app helps give homeowners seamless control over their surveillance camera and helps truly keep them protected. Once the mobile application has been downloaded, homeowners will have to create their account and connect the camera to the Wi-Fi network that they have in place. After that, simply charge the camera and mount the wall base. To mount the wall base, press the appropriate side of the base firmly in place for 30 seconds. Once this has been done, wait for an hour and then attach your Homeboy to the base. Home Security should be accessible to all, and these 14 DIY surveillance cameras play a big part in making sure that it is. Please keep in mind that this post is in no way or form trying to bash security systems that count on third-party surveillance. It is merely attempting to shine a light on those surveillance cameras that are easy to install, and even easier to use for those homeowners who have less time and money to spend on security. Be sure to do your own research and learn more about security cameras.